There are many things that can go wrong with your Kenmore refrigerator. It could be something as minor as a burned out light bulb, or you could have a more urgent problem, such as a refrigerator that keeps leaking or is unable to maintain the proper temperature to keep your food cold. For minor issues, you may be able to solve the problem yourself and save a couple hundred dollars. Major problems will probably require Kenmore refrigerator parts to be installed by a technician. The first step in Kenmore refrigerator troubleshooting is to learn how your refrigerator works. This is important so you can trace exactly what is happening in the refrigeration process. There is a really good article on HowStuffWorks.com that provides the basics about how refrigerators work. Once you’ve obtained some basic knowledge, it’s time to start reading the Kenmore refrigerator manual. If you’ve lost the manual somewhere, you might be able to find an electronic copy online at the Manage My Life website. The manual contains schematics for your refrigerator as well as a list of Kenmore refrigerator parts. 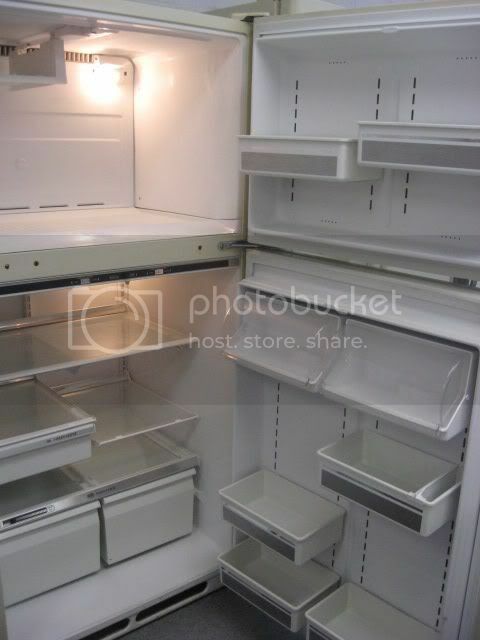 Based on what is happening with your refrigerator, you can get a pretty good idea of what is not working. If the refrigerator light works but the cold air is not flowing inside, try turning the fridge off for two hours and then turn it back on. If this works, then your problem is an overheated compressor. If not, use a multi-meter to test the evaporator fan, temperature control, defrost timer, compressor motor, and overload protector. A common problem that happens with Kenmore refrigerators is failure of the door seals. If your door is not sealing properly, you will notice that your refrigerator works fine but quickly loses the coldness, causing the compressor motor to run continuously. One way to check this is by placing a piece of paper between the door seal and the fridge. The tension between the two should keep the paper in place. If you are able to move the paper, then you need to replace the seal. If the fridge is constantly turning on and off, check the voltage of the outlet that your refrigerator is plugged into. It may not be getting enough power. Another possible cause is dirty condenser coils. If that is your problem, then all you need to do is clean the coils. Troubleshooting the problem and taking care of your own Kenmore refrigerator repair is not really that difficult. If you have the confidence to try it, you might just be able to repair the fridge by yourself. Doing so will save you a lot of money that you can use for other things.